$12,689.99 set of 4 List: $23,468.00, You Save: $10,778.01! Adams Hammered Copper Generation II Professional Series Timpani are excellent for high schools, universities, and professional groups looking for professional sounds at a price that yearly budgets can actually afford. 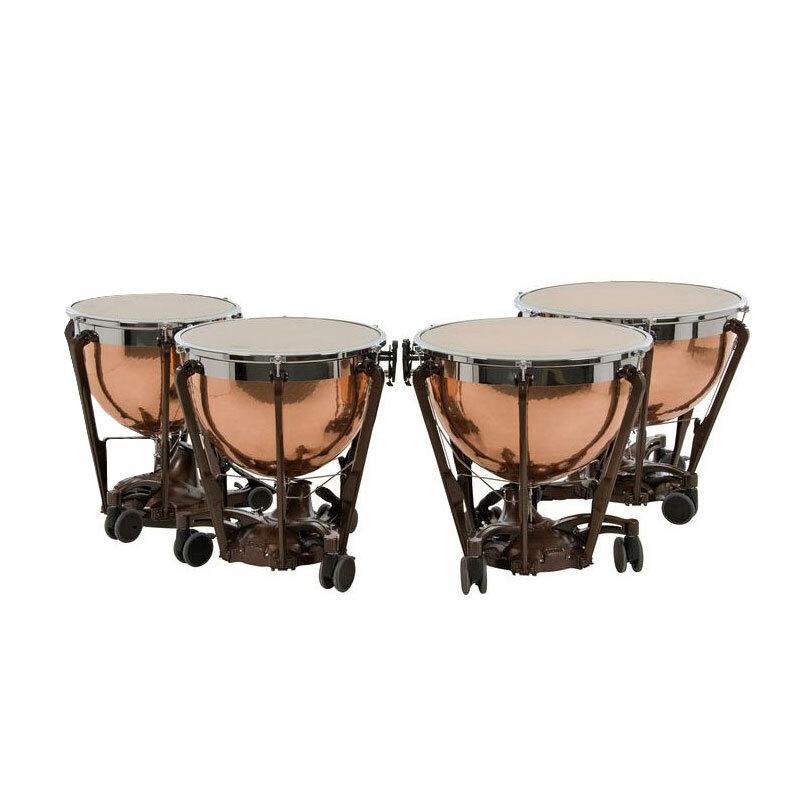 The hammered copper bowls resonate with a full, rich sound large enough for a complete orchestra or wind ensemble, and a clutchless balanced action pedal allows you to make very quick tuning changes easily - very handy for complicated wind band timpani parts. The single-flanged, chrome-plated steel suspension ring prevents the head and the bowl from warping under pressure. Wheels on either side of the pedals make it easy to move around these drums without awkwardly tilting them - and they lock in place during performance. These drums include Remo Renaissance Heads with Steel Inserts, a tuning key, drop covers, mutes, and tuning gauges.